‘To enjoy the glow of good health, you must exercise’- a philosophy deep rooted in our belief. Sporting activities offer an opportunity to get active and help the children to build their will power and self esteem. Physical activities allow kids to stay healthy, stimulate their minds, and socialize. 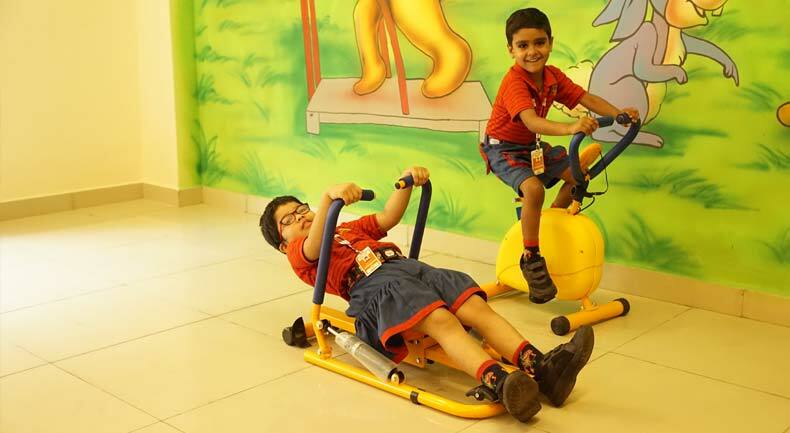 Our indoor gymnasium provides kids with the opportunity to engage in physical fitness, remain motivated and to tackle each day with an alert mind and willingness to face all challenges. Sports are fully integrated into the curriculum at SAI Angan offering a range of exciting sporting opportunities. Initiating the mind with yoga and harnessing energy by physical training exercises like aerobics and swimming ensures that the students not only are fit but are also mentally strong. Our well equipped gym targets maximum participation in a friendly, safe and secured environment. 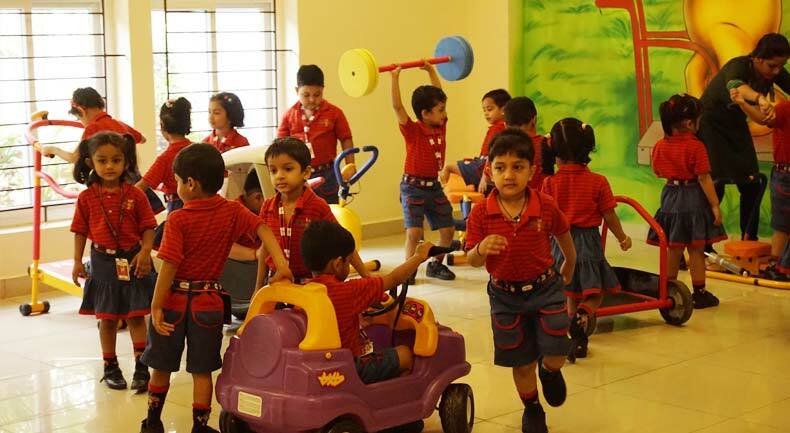 Physical Education and Sports Programme is an integral part of the growth and development of each student. It focuses on participation, competition and achieving excellence in various sports and games. We offer gradual individualized growth and development plan for each student under the expert supervision of our instructors, coaches and trainers. All our sporting equipment is child friendly keeping the safety and security of the children in mind.